The 98th Anniversary Meeting of CAMWS-SS will be held in Winston-Salem, North Carolina, at the Hawthorne Inn and Conference Center at the invitation of Wake Forest University on October 18-20, 2018. The call for papers is now closed. If you are in the Laurel Learning Center, you have access to an LCD projector and sound. You need to supply your own laptop. If you are in Sycamore 2, you will have a projector and screen. You need to supply your own laptop. If you are in Sycamore 3, there is no technology in this room. If you are on campus, you just need a flashdrive. The rooms are equipped with computers and projectors. The Hawthorne Inn and Convention Center has gone through a change in ownership so the website registration is not up and running. Please call the Hawthorne Inn at 800-972-3774 and give them the code 85427 for the CAMWS-SS rate of $102. This is a DIFFERENT code from the one posted here before, so please use this one. Keep in mind that CAMWS-SS is meeting the same weekend that Wake Forest is having Homecoming, so hotel rooms will be in short supply. Please make your reservations VERY early. CAMWS-SS apologizes for any inconvenience. UPDATE ON ROOMS: The Hawthorne Inn and Convention Center is now sold out on Friday night. We do have a block of rooms reserved at the Holiday Inn Express - Downtown West near the Cloverdale Plaza on Miller St. This is 2 miles from HICC, BUT they offer a complimentary shuttle within a 3 mile radius! Options like taxi/Uber/Lyft are also available. Our contact there is Midge Southerland (in case you have problems) and the number is 336-721-0220. Tell them you are with CAMWS-SS. They are owned by the same company that owns the HICC. If you have transportation and don't mind being a little outside of town, the Village Inn Event Center has called offering rooms. Their number is (336) 766-9121 and their address is 6205 Ramada Dr, Clemmons, NC 27012. It is about 13 miles away but it has nice facilities around it. 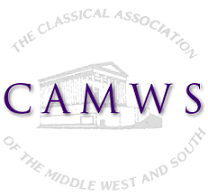 Reminder: CAMWS offers travel awards to attend CAMWS-SS. For further information see Manson A. Stewart Travel Award.